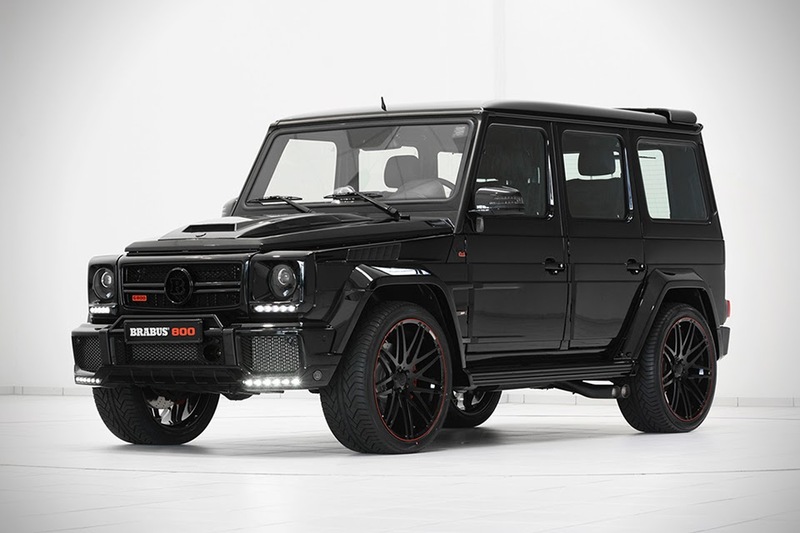 In what could be the world’s first ever “supercar” SUV, Brabus gives us a sneak peek at the Mercedes-Benz G65 AMG 800 iBusiness. 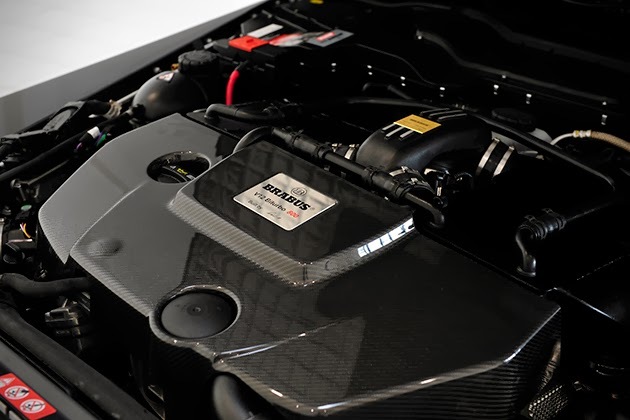 While it’s not set to officially debut until the Geneva Motor Show, we already know that no one is safe from the grips of the internet when it comes to leaked unveilings. 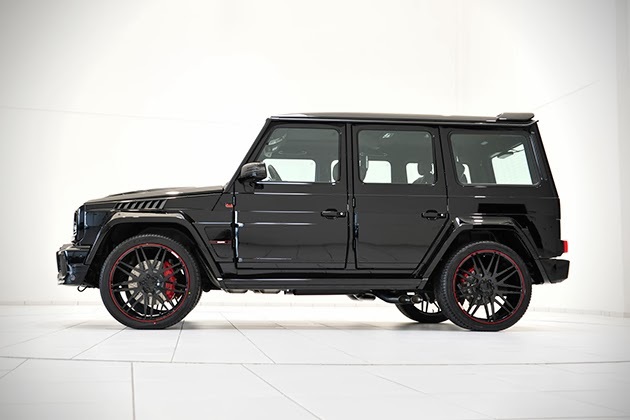 The exterior is has been decked out with the Brabus Widestar widebody along with a set of Platinum Edition 23-inch forged wheels, and a whole lot of other goodies, but it’s what’s under the hood that really caught our attention. 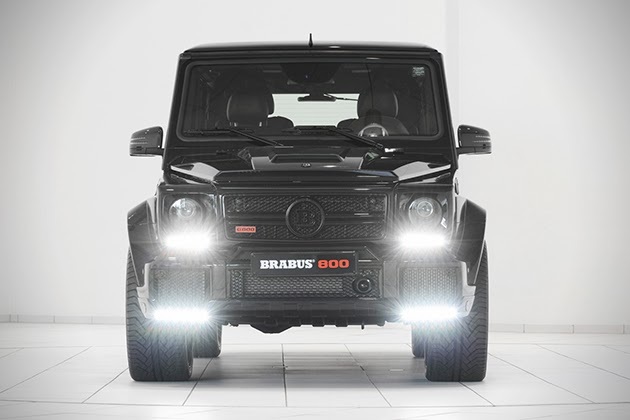 Brabus has equipped this fully capable off-roader with a 788 horsepower V12 engine that helps the tank-like model sprint to 60 miles per hour from a standstill in just 4.2 seconds. The brand has also outfitted the interior with the latest and greatest in tech gadgetry, which includes a suite of integrated Apple products from the iPad Mini and iPod Touch to the Mac Mini and Apple TV, all of which utilize the built-in Wi-Fi and charging system.